CBS Interactive’s Distinguished Lecturer David Gewirtz is an author, U.S. policy advisor, and computer scientist. He is featured in The History Channel special The President’s Book of Secrets, and, according to CNN, "is one of America’s foremost cyber-security experts, and is a top expert on saving and creating jobs." The David Gewirtz CBSi Lecture Series is available online and has been sponsored by HP, Google, Dell, Intel, IBM, Oracle, and SAP, among others. You can read David regularly on the CNET Professional Network, at his ZDNet Government and ZDNet DIY-IT blogs. David is also a former CNN Contributor. You can read more of his work on his CNN Anderson Cooper 360 blog. David is Executive Director of the U.S. Strategic Perspective Institute and Founder of ZATZ Publishing. He is the author of How To Save Jobs: Reinventing Business, Reinvigorating Work, and Reawakening the American Dream, which was excerpted on CNN.com weekly from 2009 through 2010. David is also the author of The Flexible Enterprise, the classic book that served as a foundation for today’s agile business movement. Described by ZDNet as "part mad scientist, part celebrity author, and part shadowy government advisor," David is a frequent guest on TV and radio stations across America and can usually be heard or seen on-the-air at least once a week. He has been interviewed by Fox News, CNN, various ABC and NBC affiliates, and Canada’s Global TV. He has been a featured guest on National Public Radio and has been a regular guest featured on the BBC, as well as Voice of America, Radio Free Europe, and Radio Liberty where his commentaries on technology, industry, and emerging nations have been broadcast into 46 countries (all in their own unique translations). David has been introduced on CNN’s Anderson Cooper 360 as "a leading Presidential scholar" and is best known for his non-partisan national security analysis of the Bush White House email controversy. He is the author of the book Where Have All The Emails Gone? How Something as Seemingly Benign as White House Email Can Have Freaky National Security Consequences, which explores the controversy from a technical perspective and, according to The Intelligence Daily, is "the definitive account about the circumstances that led to the loss of administration emails." David, who Mother Jones describes as "a nationally recognized expert on email and other IT matters," is the author of five traditional books and thousands of articles about technology, competitiveness, and national security policy. David has also been a guest commentator for the Nieman Watchdog of the Nieman Foundation for Journalism at Harvard University and is a member of the National Press Club. 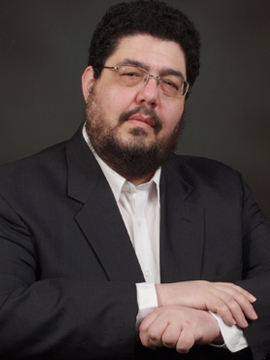 He is the Cyberterrorism Advisor for the International Association for Counterterrorism & Security Professionals, a columnist for The Journal of Counterterrorism and Homeland Security, special contributor to Frontline Security Magazine, and has been Cybersecurity Advisor and Curator for The Economist. He is also the IT Advisor for the Florida Public Health Association. David is a member of the FBI’s InfraGard program, the security partnership between the FBI and industry. He is also a member of the U.S. Naval Institute and the National Defense Industrial Association, the leading defense industry association promoting national security. David is an advisory board member for the Technical Communications and Management Certificate program at the University of California, Berkeley extension and a member of the instructional faculty at the University of California, Berkeley extension. David was an assistant professor of computer science at Mercer County Community College, has lectured at Princeton, Berkeley, UCLA, and Stanford, has been awarded the prestigious Sigma Xi Research Award in Engineering, and was a candidate for the 2008 Pulitzer Prize in Letters. He is also a member of Kappa Delta Pi, the International Honor Society in Education. Earlier in his career, he was an executive at Symantec Corporation. He also held the unusual title of "Godfather" at Apple Inc. and served on the board of the Software Entrepreneurs Forum (now SDForum) in Santa Clara County, California. He was also an executive at large-scale computing pioneer Pyramid Technology, where he created a special program known as "PRISM". David is the creator of ZENPRESS, a breakthrough technology for Internet magazine production. He is also the lead developer of the MySQL and SQLite database extensions for the open-source Frontier Kernel project and has designed embedded database technology used by more than 2,000 companies, universities, and government agencies. He is also the author of 40 iPhone applications currently published on the Apple iOS App Store. David is an entertaining and electrifying speaker. Whether offering insight into technology trends, helping small and large businesses remain competitive in a wildly changing world, providing a broader perspective on policy matters, or helping leaders understand the big technology and security challenges facing citizens throughout the world, David makes complex topics understandable, difficult issues compelling, and challenging concerns actionable and solvable. Weaving a tapestry of industry, politics, security, and technology, he brings a unique and powerful perspective to all his audiences. Known for their clarity and insight, his articles, lectures, radio, and TV interviews reach more than a million people worldwide each week.